The date for Family Weekend 2019 will be released May 1! Check back soon for more details! Family Weekend is the first big event of the year for students and their families. A variety of activities make Family Weekend a special time for students to share their new environment with friends, parents, and family members. 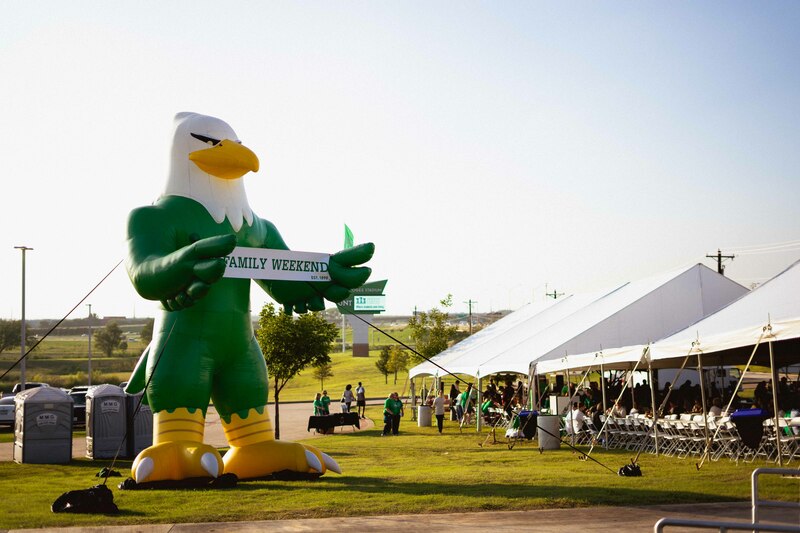 Whether you live near or far, we want you to join your UNT family for a weekend of fun! This three-day event will be packed with numerous activities, meals, and the opportunity to cheer on the Mean Green football team. There's something for everyone! What is the price of Family Weekend? *FREE with the purchase of one or more adult passes. Parent Association members and alumni have the ability to receive discounts. 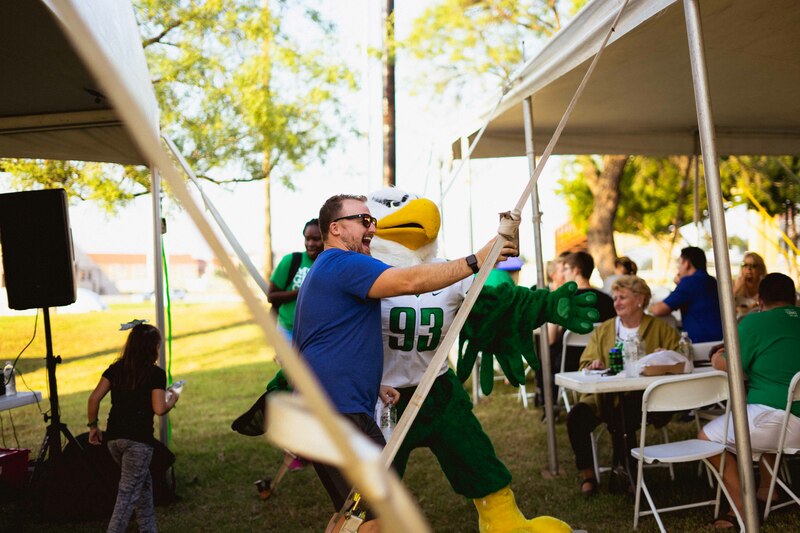 Find out how much your student loves UNT! Cheer on the Mean Green! 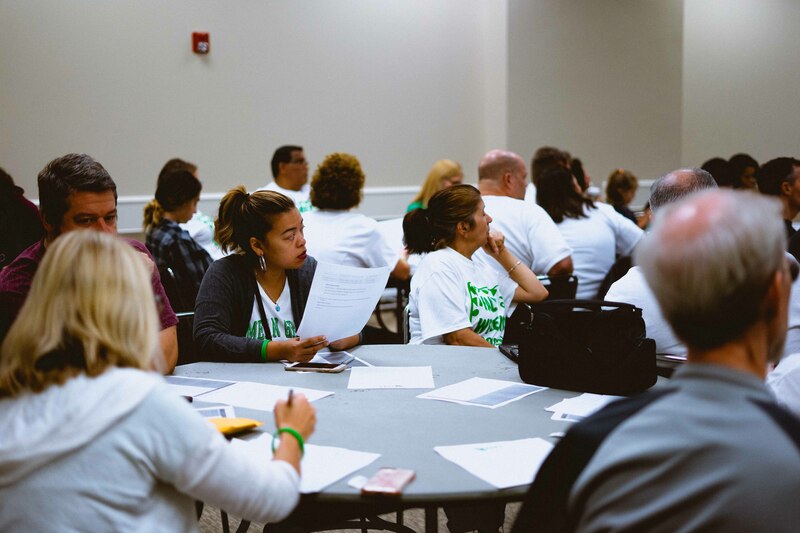 "It was nice to meet other UNT parents who had the same concerns about their kiddos as me." "Wished we could have done more! Good selection of events, so we can't do it all." "Thank you so much for providing such a fun time for my family and me. We miss our UNT student being down the hall in her room, but seeing her on campus and having the opportunity to see some of the things she sees every day was reassuring. We are all still trying to adjust but I have no doubt that she made the right choice with UNT." "My children were able to enjoy the game and the activities before the game together. We were able to converse in a relaxed environment without the pressures of being alone that can sometimes occur when a child begins to gain independence of her family."